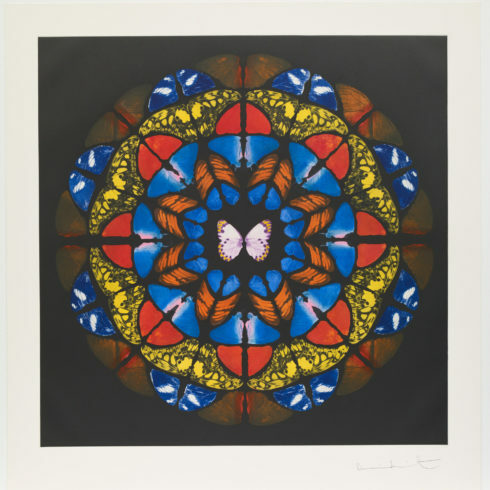 Damien Hirst, Sanctum Dome is an original Etching from a series of 6 etchings. This print is signed on the front and numbered on the reverse from the edition of 59. Throughout his prolific career, Hirst has explored many different mediums and formats, being most known for the technique of preservation. 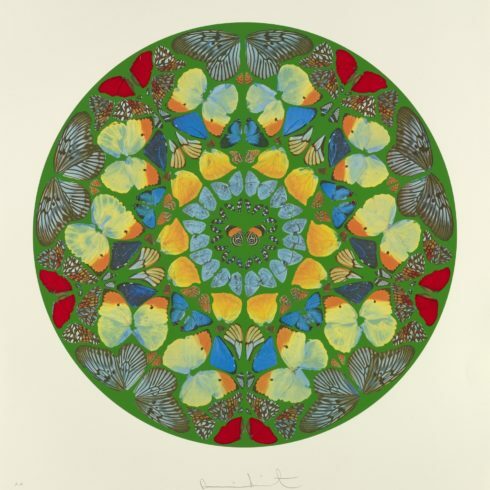 Two of Hirst’s most popular series are his spot etchings that consist of variably coloured dots, and his butterfly paintings. 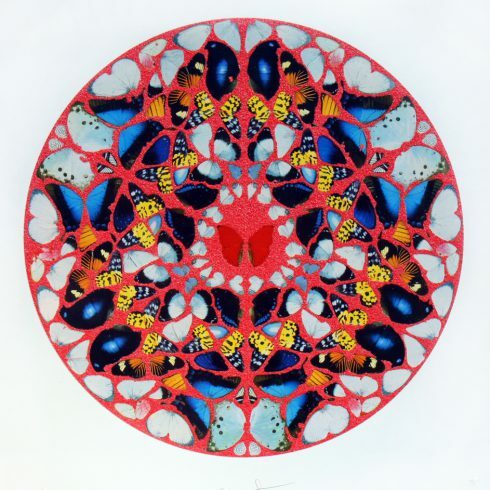 Titled ‘Sanctum’ these kaleidoscopic butterfly etchings are vibrant, colorful and intricately composed. 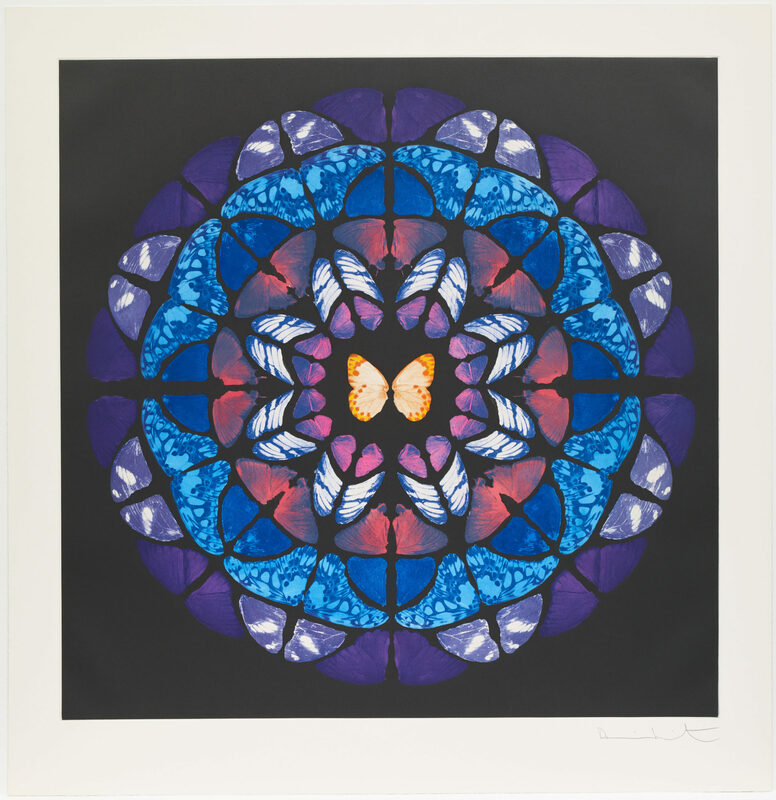 Hirst is renowned for his Butterfly Series, in which Hirst arranged thousands of butterfly wings in a mandala-like pattern. Another popular Hirst series are the ‘Spin’ paintings. Damien Hirst designed the sets for Glastonbury, a play about the Glastonbury music festival, and Hirst designed and directed Breath, the 30-45 second film version of Samuel Beckett’s 1969 short. 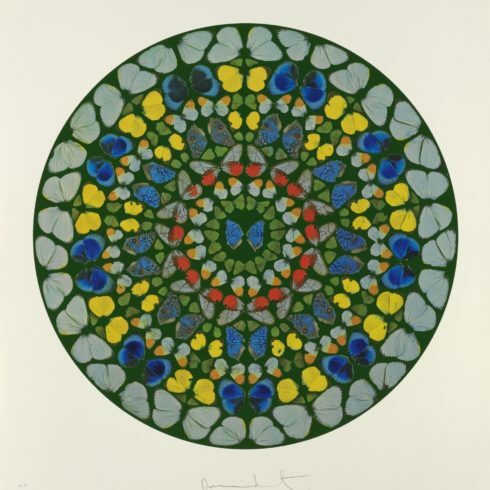 The art of Damien Hirst has been exhibited widely, in Britain, Korea, the USA, Australia, and countries all over Europe. 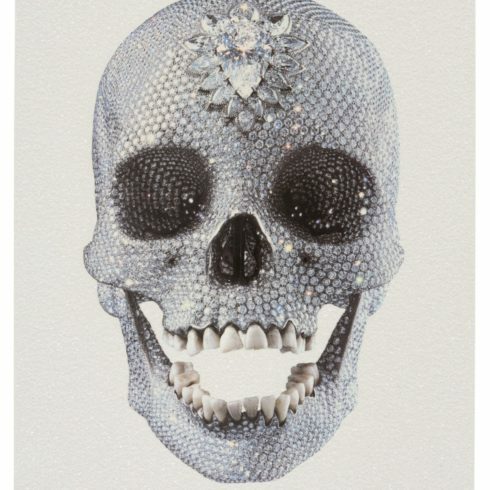 Hirst’s work is included in many private collections and in permanent collections at public museums and galleries. Damien Hirst now lives in Devon with his sons Connor (b.1995) and Cassius (b.2000) and girlfriend Maia Norman. Damien Hirst works at his home and in London. 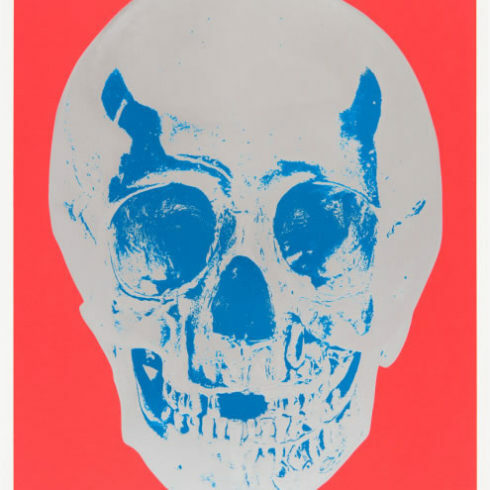 The art of Damien Hirst has a visual power that is virtually unmatched by any possible description of it. One cannot really hope to understand it, or even visualize it without experiencing it firsthand. Damien Hirst first came to public attention in London in 1988 when he conceived and curated “Freeze,” an exhibition in a disused warehouse that showed his work and that of his friends and fellow students at Goldsmiths College. In the nearly quarter of a century since that pivotal show (which would come to define the Young British Artists), Hirst has become one of the most influential artists of his generation. His groundbreaking works include The Physical Impossibility of Death in the Mind of Someone Living (1991), a shark in formaldehyde; Mother and Child Divided (1993) a four-part sculpture of a bisected cow and calf; and For the Love of God(2007), a human skull studded with 8,601 diamonds. 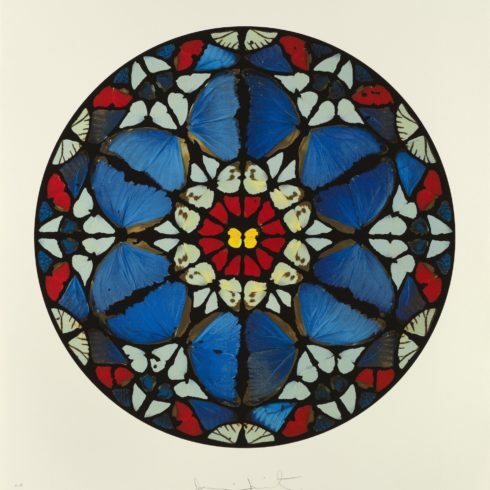 In addition to his installations and sculptures, Hirst’s Spot paintings and Butterfly paintings have become universally recognized.